Imagine where you could be tomorrow . 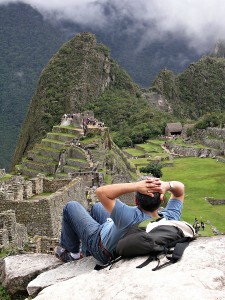 . .
Peru is an active and exciting destination for your travel needs offered by Out Adventures. Below are listed, some of the many trips offered to the magnificent country of Peru and a brief description of each tour. For more details about each tour and the most recent dates of availability and pricing contact PrideOne Travel and Cruises. Stroll through Lima’s vibrant Plaza Mayor, Learn the secrets of the Amazon Jungle from a local guide, Wake to the sounds of an Amazonian animal orchestra, Admire Cuzco’s stunning colonial architecture, Glimpse terraced walls in the fertile Sacred Valley, Stroll geometrically perfect streets in Ollantaytambo, Wander among the ancient ruins of Machu Picchu, Discover colourful traditional textiles. Day 1 Lima – Plaza Mayor is the ideal place to begin an exploration of Lima’s churches, palaces and colonial mansions. Take a stroll and admire the intricately carved balconies of the Archbishop’s Palace or descend into the eerie catacombs below the Monasterio de San Fransisco. Sample some ceviche, a local specialty of white fish marinated in lemon juice, onion and hot peppers. Days 2-3 Amazon Jungle – The call of exotic birds and dense jungle awaits. 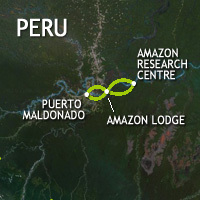 Learn about the Amazon’s complex ecosystem on a hike with a local guide. Spy everything from vibrant macaws to cheeky monkeys and colourful butterflies, and discover the medicinal properties and practical uses of jungle plants. Stay in an eco lodge that combines low-impact architecture with native-style rooms. – Acclimatise to the high altitude with a stroll around Cuzco, a melting pot of Spanish and Inca influences, rich in history and legend. Visit a coca tea shop – tasting included – then holler and haggle at the colourful San Pedro market. Top off the stay here with a trip out to the fortress of Sacsayhuaman. Day 6 Sacred Valley/Ollantaytambo – See woolly llamas and locals dressed in brightly coloured traditional clothes on a trip through the spectacularly terraced Sacred Valley, or Wilcamayo, as the Incas called it. Stay overnight in the ancient Inca town of Ollantaytambo, famed for its remarkable street layout and impressive nearby ruins. Days 7-8 Aguas Calientes/Machu Picchu/Cusco – Reach the mountain village of Aguas Calientes by train and prepare to be awed by the first view of Machu Picchu. Enjoy a guided tour and be sure to have cameras ready – these ruins are seriously photogenic. Spend the rest of the day exploring the citadel at leisure, perhaps making the climb up Wayna Picchu for extraordinary views of this magical site. Day 9 Cuzco – Relax in one of the cosmopolitan cafes surrounding the Plaza de Armas, grab a few bargains or squeeze in some last-minute sightseeing. The city’s imposing Baroque cathedral is built upon an Inca palace and is well worth a visit, as is the remarkable 12-sided stone. Why not celebrate a wonderful adventure with lunch at the Aldea Yanapay Cafe – as well as serving delicious fare, all proceeds go towards helping Cuzco’s disadvantaged kids. *The itinerary attached is correct at time of printing. Please note: occasionally our itineraries are updated during the year to incorporate improvements stemming from past travellers’ comments and our own research. As such the information given in this itinerary may be slightly different to that in the brochure. It is VERY IMPORTANT that you print and review a final copy of your Trip Notes a couple of days prior to travel, in case there have been changes that affect your plans. Deposit -$500 deposit required per person at the time of booking; the remaining balance is due 60 days prior to departure. More details about this tour are available by calling PrideOne Travel and Cruises! 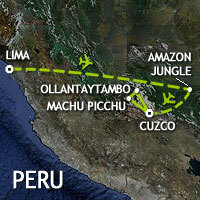 Get a real taste of the Peruvian rainforest on this enthralling trip into the heart of the Amazon. Walk through the jungle, cruise along murky waterways, spot exotic wildlife and stay in an eco lodge. There is also a chance to learn about conservation projects, spot macaws, climb a canopy tower for amazing views and hear about the healing properties of the strange jungle plantlife. This amazing journey is an excellent introduction to the wonders of the Amazon. Day 1 Puerto Maldonado/Amazon Lodge – Gear up for the journey ahead in Puerto Maldonado, then travel by bus and motorised canoe into the steamy jungle. Arrive at the lodge in time for a briefing on the accommodation and eco-tourism project. The staff here are local and all eager to impart their knowledge of the jungle. After dark, venture down to the river’s shore to go caiman spotting – look out for the red glints of their beady eyes along the bank. Days 2-3 Tambopata Research Centre – Head out on an early morning birdwatching walk before canoeing to the Tambopata Research Centre to learn about the vital Macaw Project and the habits of the birds themselves. Stop by an old-growth patch of brazil nut trees to learn how this hefty nut is harvested. Take an early morning walk to the clay lick to spy the macaws and other parrots who congregate here daily to ingest clay before disappearing back into the dense forest. Later, take a gentle hike along a floodplain trail with a local guide to discover strange trees and exotic flowers. Day 4 Amazon Lodge – Hike to Lake Condenado Oxbow for the chance to spot more of the fertile jungle’s wildlife – monkeys and peccaries are commonly sighted here. Paddle a canoe through the wetlands to get up-close to some of the exotic creatures. In the evening, perhaps take the opportunity to attend lectures about conservation in the reserve. Day 5 Puerto Maldonado – A final canoe ride offers the chance to bid the Amazon farewell before returning to Puerto Maldonado, to be transferred to the airport and on to the next destination. Deposit -$250 deposit required per person at the time of booking; the remaining balance is due 60 days prior to departure. Available Dates – This trip is part of our Short Break Adventures range. As it is not a group trip it has no fixed departure dates. Please note that Independent booking requests are subject to availability at your preferred travel time. Sail close to the clouds on Lake Titicaca and discover the ancient civilisations that inhabit its islands. Feel the spongy reeds of the ‘floating’ Uros islands beneath your feet, learn about unique local cultures and customs at a homestay and relish the vistas over the seemingly infinite waters from the brilliant Taquile Island. This is the world’s highest navigable lake, sitting at a soaring 3,812 m above sea level, and on this trip you’ll encounter the fascinating people and beautiful locations that characterise this isolated location. Day 1 Puno Perched on the shores of the vast Lake Titicaca, Puno is alive with the pulse of Andean music and the rhythm of traditional dance. Set sail on the world’s highest navigable lake, stopping by the floating Uros Islands, which are constructed from multiple layers of totora reeds. Spend the night with a welcoming local family, on one of the lake’s non-floating islands. Days 2-3 Lake Titicaca/Puno Set off early for Taquile, a tiny island littered with crumbling Inca terracing that punctuates the ruby-red soil. Take in the crisp, fresh air with a short hike to enjoy stunning views over the lake before returning to Puno for the night. 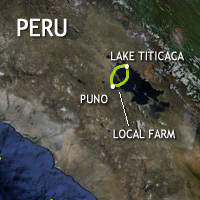 The next morning, drive to a local farm and learn about the breeding system of Andean camelidae. Relax in the farm’s garden and enjoy a traditional homemade lunch, before hiking through a cactus forest and along the shore of Lake Titicaca. 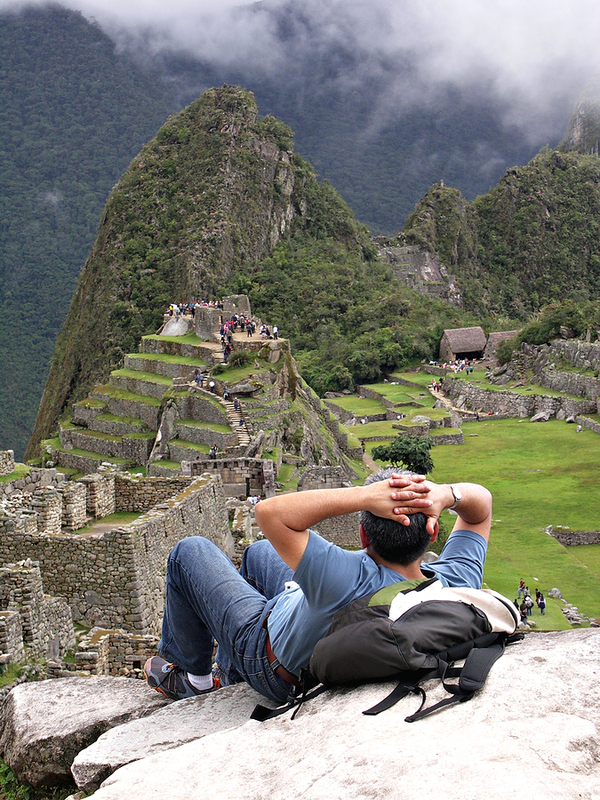 Call PrideOne Travel and Cruises to reserve your space to visit Peru with a gay and lesbian group or any vacation experience package provided by Out Adventure! 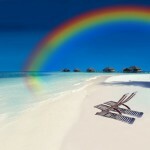 PrideOne Travel and Cruises and Out Adventure strongly recommends you purchase travel insurance for this vacation! *certain terms and conditions apply to this tour as set forth by both PrideOne Travel and Cruise and Out Vacations! In Person - We are available to meet in person by appointment only. 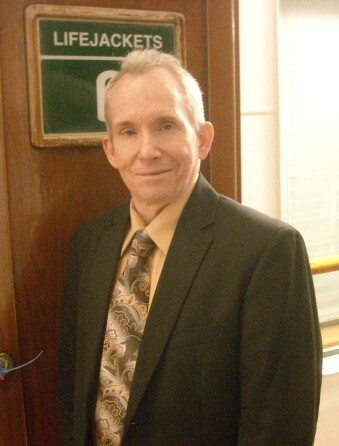 Appointments can be scheduled during business hours, evenings, and week-ends. By Phone - Our business hours are 10:00 am to 4:00 pm, Monday - Saturday. You may call us during these business hours. Contact Form - You may contact us by submitting the contact form on the contact us page. After Hours - We monitor voice mail and email communications outside of these hours as well, and will respond as quickly as possible if an immediate response is necessary. We are gay owned & operated! That's pretty awesome by itself, right? We get to know you and understand what you are like and apply that to your travel planning. We are not order takers! We are available to you before, during, and after your vacation. We care about you and want to see you have a memorable experience! I wouldn’t use anyone else….. Subscribe To Our Newsletter "One Community"
"Imagine Where You Could Be Tomorrow!"